there is tuning, spelled out in the cabin of a Volvo. Trak supports the painting and the color of the metallic support for an advanced hitch. 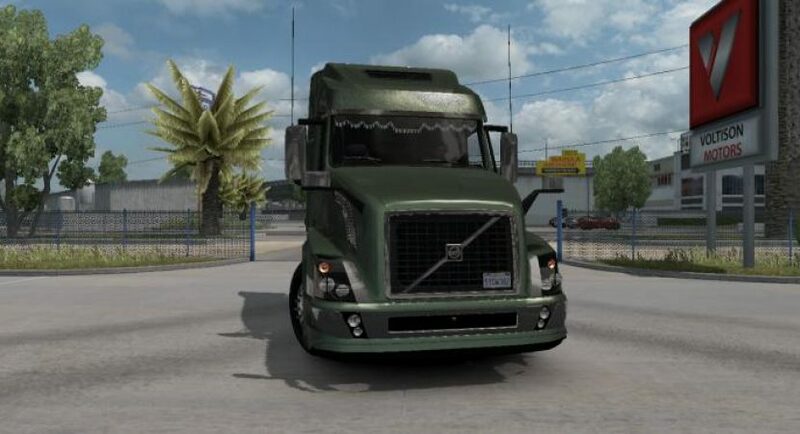 the driver is present in the following cities: Las Vegas, San Francisco and Tucson. ATTENTION! 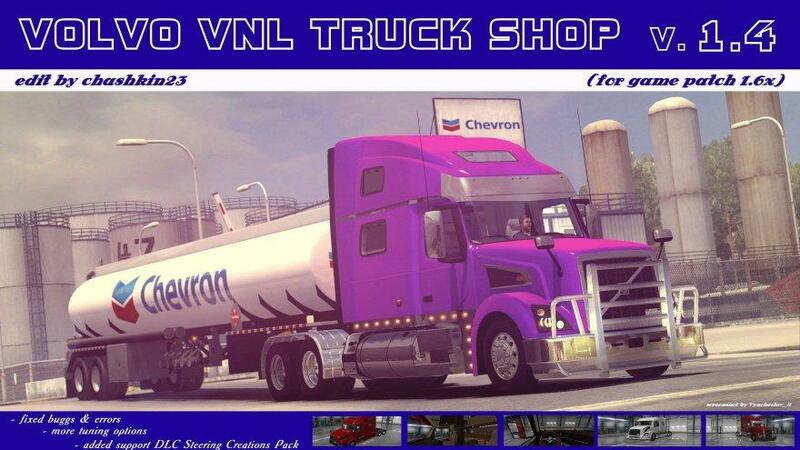 : Before adding this mod, you need to sell all the trucks from a previous version and saved! Then disable the previous version in Manager mods, and activate v1.4! Then load the game and buy again fast. as in fashion many new things including changes in the residence permit! Or to start a new profile, in this case, no manipulation of the mod is not required.